Boodang is proud to announce the return of Bomfest! 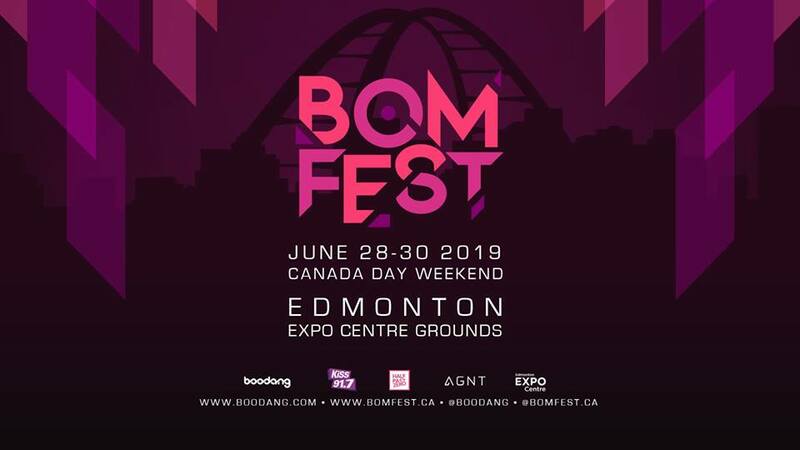 The three-day festival is set to take place on Canada Day long weekend 2019, June 28th, 29th and 30th, at the Edmonton EXPO Centre grounds. This year they’re bringing back two outdoor stages with the addition of a third indoor stage. To celebrate 20 amazing years of Boodang, they’re serving up the biggest and most diverse lineup of electronic music acts this city has ever seen. With over 20 artists, from house to hardstyle – Bomfest has you covered. We are looking for food trucks for this event! If you would like to apply, please fill out the Food & Beverage Sales and Sampling Application Form. Applications accepted until April 30 and selected applicants will be notified by May 8.